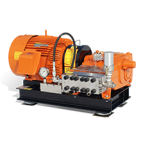 No one in the water jet industry has as many pump units to choose from as NLB. 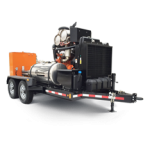 Dedicated or convertible, diesel or electric, they give you the pressure, flow and horsepower to do virtually any job. 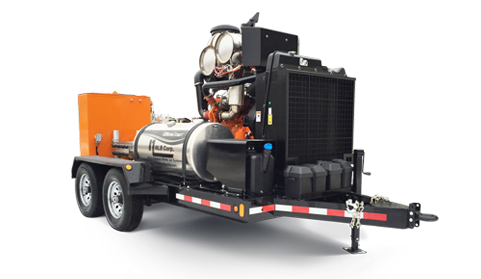 Need a unit you can operate at different pressures, up to 40,000 psi (2,800 bar)? We have many models you can convert in 20 minutes or so. (See video at right.) A diesel unit with 600 hp? UHP with low flow? No problem! And now, many of NLB’s diesel powered units are available in the UltraGreen configuration. 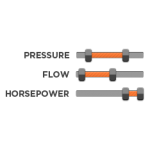 They have Tier 4f-compliant engines that meet the new EPA standards, reducing NOx and particulate matter by 90% or more. And since they use far less fuel, your operating costs are also dramatically lower. 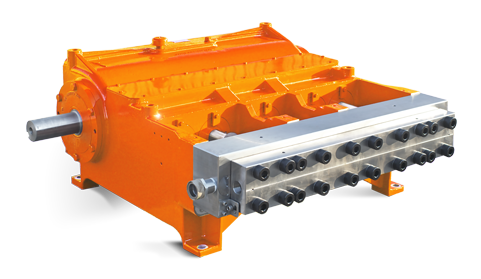 Weve made it easy to find the right NLB pump unit for your application. You can search by type or try our handy selection guide by using the buttons at left. Or, for a personal, no-obligation consultation, call 1-248-624-5555. Thanks for considering NLB. 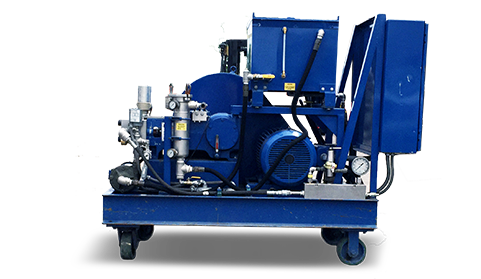 Diesel units provide portable water jetting solutions for use in almost any location. 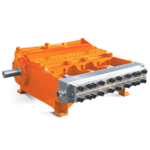 Electric units are the perfect solution for in-plant installations. This easy to use guide can help you select the right equipment for your job. 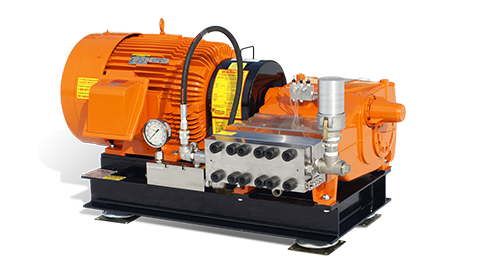 NLB offers a full line of convertible water jetting pumps with pressures up to 40,000 psi (2,800 bar).